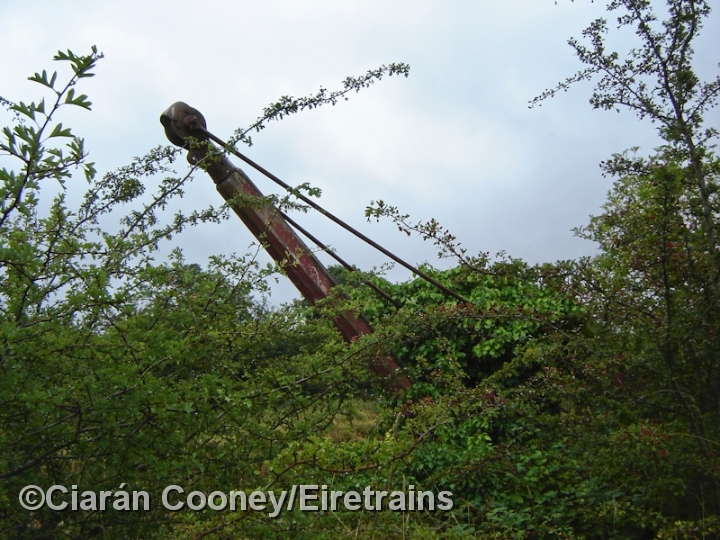 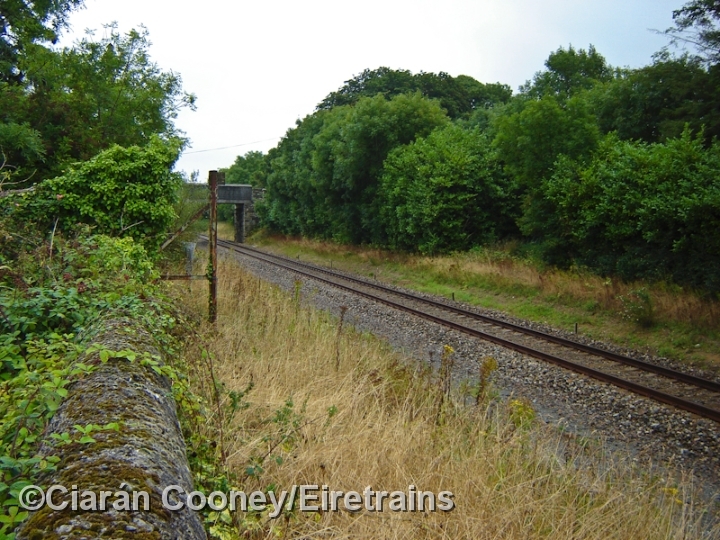 Ferns, Co.Wexford, is located on the main Dublin to Rosslare line. 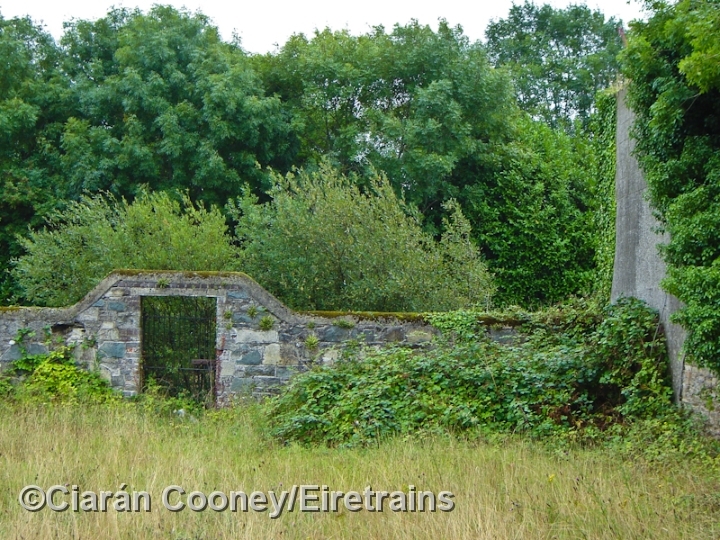 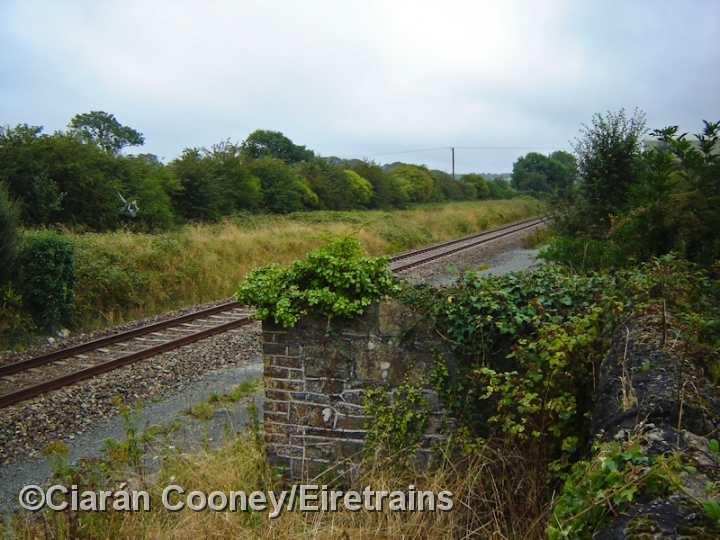 The station opened with the Dublin Wicklow & Wexford Railway's extension to Enniscorthy in 1863. 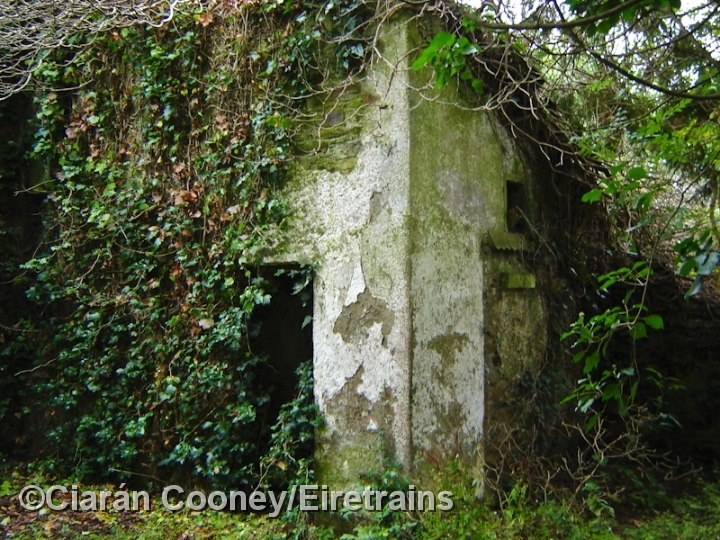 The station, which boasted large goods facilities, closed in March 1977. 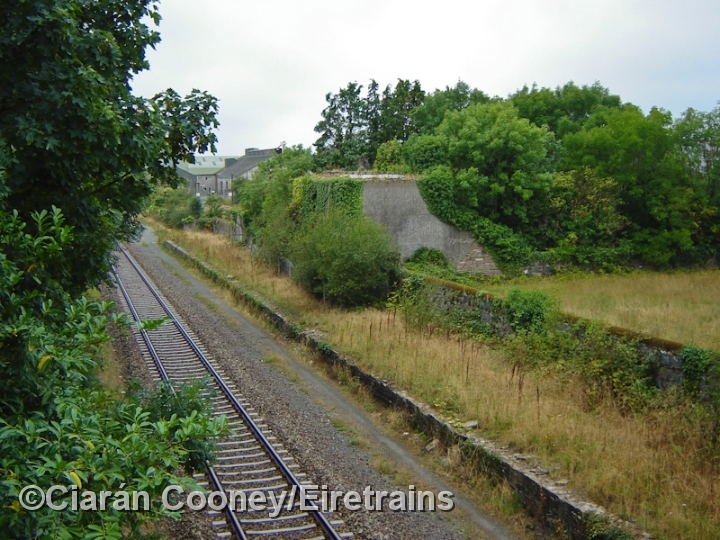 The station however remained pretty much intact up to the 1980s, retaining its up & down platforms and station buildings. In the mid 1990s however, these buildings had become derelict, and the down platform was completely demolished to allow the track to be re-aligned. 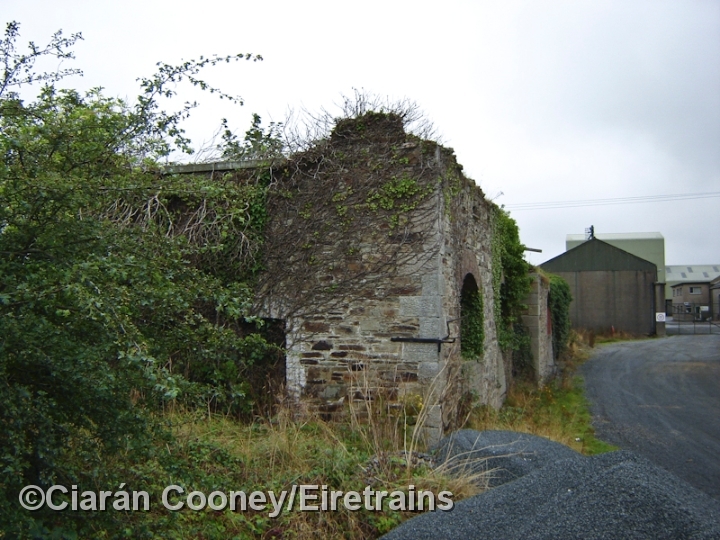 Today, the main building remains overgrown, but some of the former goods sheds have become part of the adjacent industrial estate.